As I mentioned before in the 1st part of this article, I want to finish the 2017 Fred Whitton road cycling challenge in decent time, so I aimed myself to able to do under 7 hours. Still, it’s not under 6 hours to do this route like some professionals did previously but since I’m not a professional & I don’t have anymore time for training, I think it’s just more than enough challenge to me. The route is 180 km (112 miles) with 3950m of total elevation. Some riders was able to do this course during the previous Fred Whitton challenges just over 12 hours, so the 7 hrs will be really great achievement for me with my current road bike & fitness level. As a final summary of my training efforts for Fred Whitton, I did half-marathon runs twice in this year for example. It’s a quite big achievement by me, since I didn’t run much before (last year I ran only approx. 40 km all together), but I was able to do my 1st half marathon ever in this year under 2 hours. 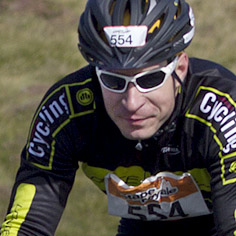 I had also some great duathlon (run-cycle & run again) training sessions in this year. I also started to go in one of my local Gym regularly in this year for some extra workouts. My runs basically my main cardio-training, meanwhile in the Gym I try to focus mainly on weight training exercises to boost my overall fitness level a little bit. I also started to care more about my nutrition & food supplements, but I will write about more in the near future in one of my next article. Less than 3 DAYS TO GO!!! 😀 …So, what does it mean? Well, I didn’t read about too much before, just try to use my common sense, so the most important thing I do now: try to save my legs for the event, for the Fred Whitton Challenge. That means: much less runs to be able to have enough time for recovery, also to avoid any injuries, plus I give it less stress now for my joints in my legs without my usual, longer runs. I also go less now into Gym & take less time in the Gym, basically by the same cause as I skip my longer runs now. Still, I’m not just sitting at home now but I had some long-distance ride training in the recent, last few weeks to be sure about my endurance level too, my legs will be ready for the 112 miles challenge. Previous postHigh-Tech Base – Part 1: ReLIVE your epic rides! Relive makes freaking awesome video recaps of your bike rides on 3D map for FREE. Next postHigh-Tech Base – Part 2: Now you can ReLIVE your epic runs! Relive makes freaking awesome video recaps of your bike rides & now also about your runs on 3D map for FREE.